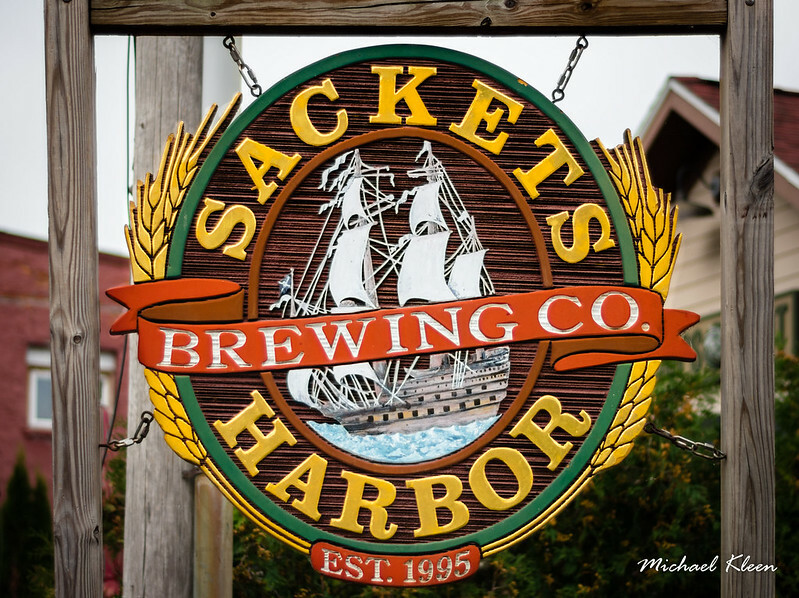 Sign for Sackets Harbor Brewing Company at 212 W. Main Street in Sackets Harbor, New York. Lakeside brewery in a restored train station delivers gastropub fare and a variety of house beers. Opened in 1995.